There’s a new movement in the IT world to move to ‘as-a-service’ solutions. The benefits of taking an IT solution, and delivering it as a service can be powerful. That’s why so many IT management tools are taking this approach. Some on-prem solutions like Microsoft Active Directory® (AD) don’t really offer an ‘as a service’ solution, so many are looking for the Active Directory-as-a-Service alternative. The benefits of SaaS solutions delivered ‘as-a-service’ include greater efficiency, higher reliability, better, more innovative solutions, and cost effectiveness (IDC). It’s exactly these reasons that make it so enticing for IT admins to convert their on-prem tools to the cloud. Since the dawn of the cloud, more and more elements of IT have moved to the as-a-service model. From Software-as-a-Service (e.g. G Suite) to Infrastructure-as-a-Service (e.g. AWS), this model is increasingly the present and future of IT. But not all sectors have had a SaaS alternative. Directory services, within the identity management category, is a good example. Historically, the identity provider has been on-prem. In fact, there really has been only one solution that most organizations have leveraged – Microsoft Active Directory. It used to make a lot of sense that AD was the identity provider of choice. Most IT networks were based on Windows and IT resources were on-prem. But as the world shifted to the cloud, major changes started to emerge. IT networks became heterogeneous, hybrid, and multi-protocol. Active Directory struggled with the cloud, and IT has found themselves turning to costly, inefficient, or insecure methods for managing their modern resources in an AD environment. Azure Active Directory was introduced and many IT admins thought that would be Active Directory-as-a-Service, but unfortunately, Azure AD is not a cloud AD replacement. Why not? Azure AD doesn’t offer the management over on-prem infrastructure that IT obtains with Active Directory. You can read more about how Azure AD doesn’t replace AD by reading this Spiceworks post from a Microsoft representative. Microsoft didn’t deliver the Active Directory-as-a-Service alternative IT was hoping for with Azure AD. So why wouldn’t IT just switch to a different directory that could manage cloud and on-prem resources? They couldn’t. An actual replacement to Active Directory didn’t exist. While many solutions have been created to respond to the changes in the IT landscape, they’ve only focused on adapting AD to these innovations. There hasn’t been a service that has actually set out to be full-fledged AD-as-a-Service until now. 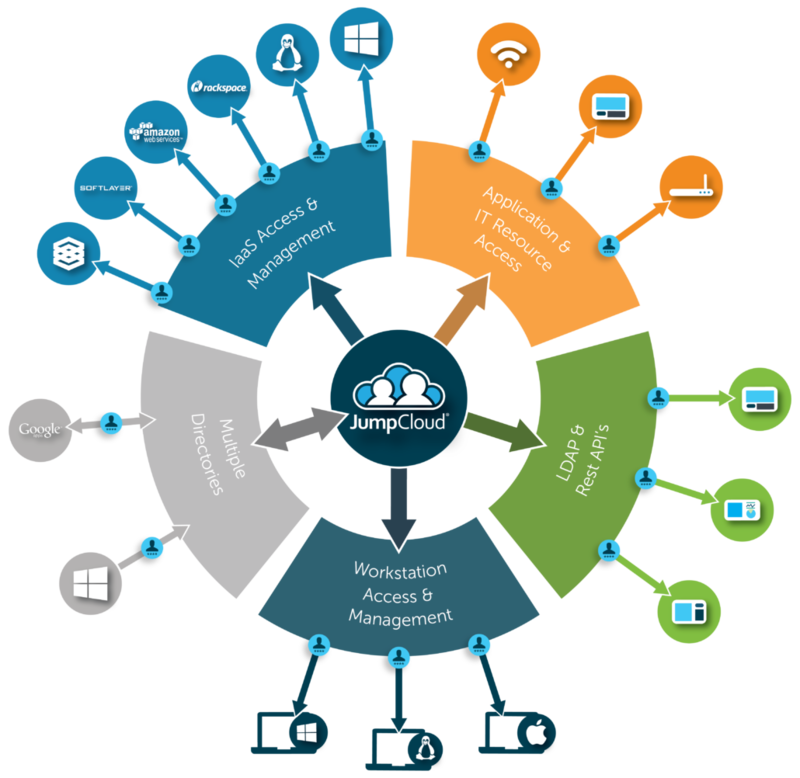 Thanks to JumpCloud, there is now an Active Directory-as-a-Service alternative that can provide a modern cloud identity management platform for hybrid organizations. 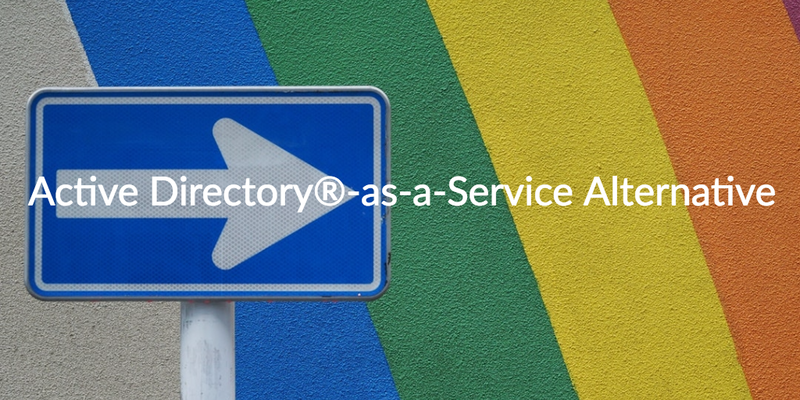 Directory-as-a-Service is a core identity provider that is cross-platform, multi-protocol, provider independent, and location agnostic. As a modern IDaaS platform, Directory-as-a-Service connects user identities to systems (e.g. Windows, Mac, Linux), cloud and on-prem servers (e.g. AWS, GCP, Azure, and internal data centers), web and on-prem applications via LDAP or SAML, physical and virtual storage such as Samba file servers and NAS appliances, and wired and WiFi networks via RADIUS. To learn more about replacing Active Directory, read how Patch of Land is streamlining their IT resources with our Active Directory alternative or how Ace Payroll is unifying their IT across the country while getting rid of their old AD hardware. Additionally, the webinar below walks you through the ‘why’ and ‘how’ of eliminating Active Directory from your environment. You are also invited to reach out to us if you would like to learn more about Active Directory-as-a-Service Alternative. If you’re ready to start testing our cloud-based directory, signup for a free account. You’ll be able to explore all of our features and your first ten users are free forever.